Animal advocates are applauding Congress for protecting wild horses and burros from roundups and slaughter with the 2018 spending bill, marking a major victory in the ongoing battle to protect them on public lands. 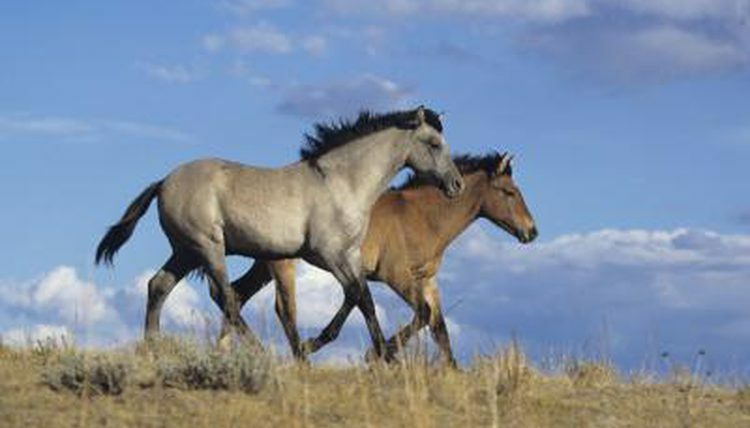 Despite protection under the Wild Free-Roaming Horse and Burro Act, which was enacted in 1971 to protect wild horses from “capture, branding, harassment, or death,” the Bureau of Land Management (BLM) has continued to remove and warehouse thousands upon thousands of wild horses at the expense of taxpayers – a vast majority of who strongly oppose the agency’s incredibly cruel, wasteful and ongoing mismanagement of these American icons. While their advocates have continued to push for measures that would protect them on public lands, the agency has become increasingly beholden to special interests that want to see them gone. Last year, the House Appropriations Committee passed the spending bill with the Stewart Amendment as part of the 2018 budget, which would have allowed the BLM to kill 92,000 healthy wild horses who are currently in holding, in addition to those who are deemed excess on the range. The backlash to the move was swift. Hundreds of thousands of people called their representatives, wrote letters and signed petitions in opposition, while more than 163,000 people signed a Care2 petition alone calling on Congress to protect wild horses and burros from roundups and slaughter. Now, everyone who spoke out on this issue can celebrate a win with news that Congress has maintained prohibitions on destroying or slaughtering healthy wild horses and burros. The latest budget as passed by the House also prohibits government funding for horse slaughter inspections, which will effectively keep horse slaughter operations from resuming on U.S. soil. While this is a major victory, the bill expires in September and the 2019 budget request is again calling for the bans on the killing and slaughter of mustangs and burros to be lifted. 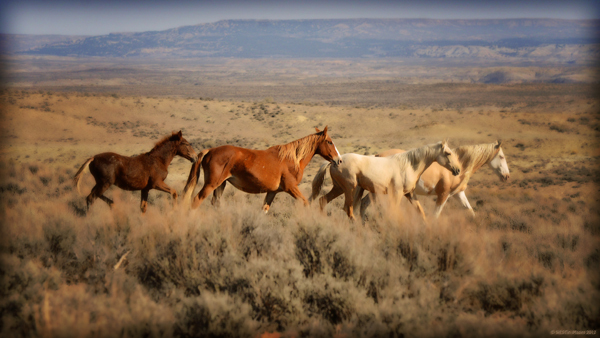 Wild the battle continues, wild horse advocates will be working to oppose any measures that would allow slaughter, and will continue to support measures that involve humanely managing them on the range. Responses to "Wild Horses and Burros Get a Reprieve From Slaughter"
Do they have enough water and food? The BLM and other agencies of the DOI are responsible to ensure our public lands are protected not sold to the highest global sponsor. BLM is suppose to protect and manage them not genocide them. They are suppose to ensure water and food are provided during challenging situations. These horses do well on their own as long as barriers and HMA’s are not setup or eliminated to keep them from water holes. 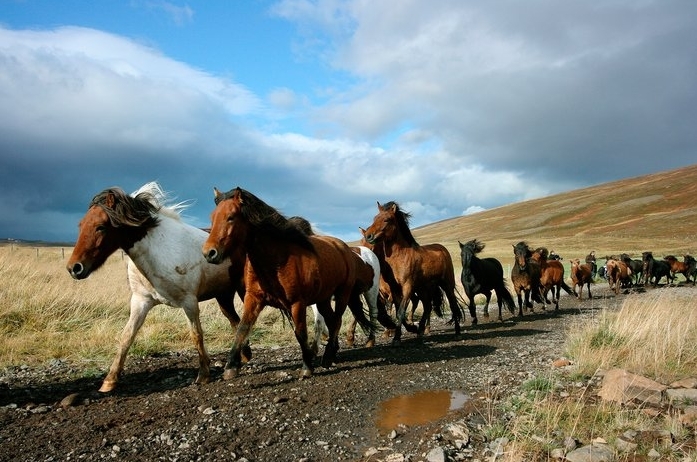 These wild horses protect the eco-systems by eating the brush and weeds that enable wild fires to be fueled. They are not predators so they are not endangering other species. The mining industry have waste ponds that have a negative impact on the aqua resources and when these horses frequent areas the pollution and poisoning waste products well be exposed. Wild horses nibble and do not pull up grasses by the roots however, when wild horses are removed there is proof they are often replaced by 1000’s of cattle that pull grass up by the roots. This is just some of the other challenges they face. American’s want these beautiful representatives of freedom protected so people from around the world can visit and admire their beauty and these cherished icons of America. Come on President Trump you say you are working for the people of America. Well 80% of us have been fighting our own government for more “Years” than we should have too. Its time to respect the tax-payers not greedy corporations.